I'm only a year into owning my '18 IS350 F Sport AWD and just did the Tanabe exhaust (which has quieted down but still sounds and looks great! This will be for sale soon in the Toronto and surrounding areas). Loved the car for the short time, but there was always something missing that I couldn't put my finger on. 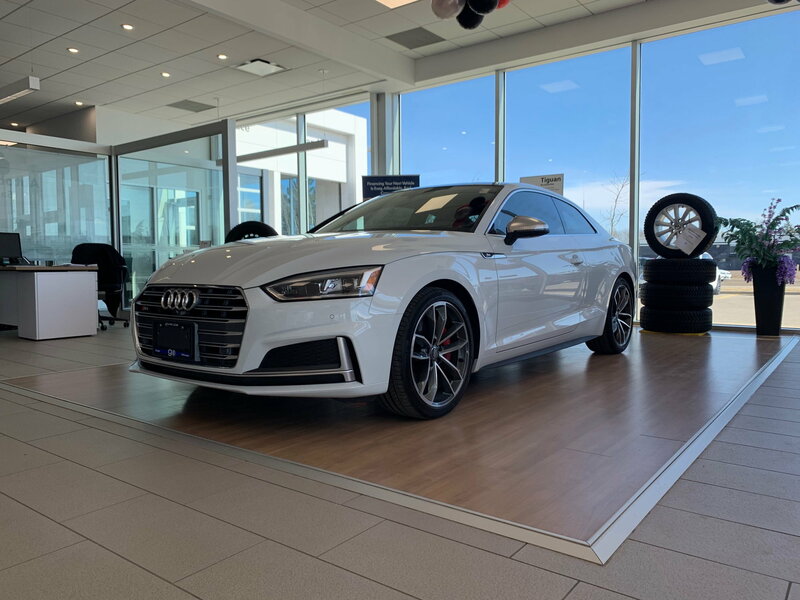 I had been looking for a slightly used, low mileage Audi S5 Coupe for a while, but not many came up that fit the bill. Until now. 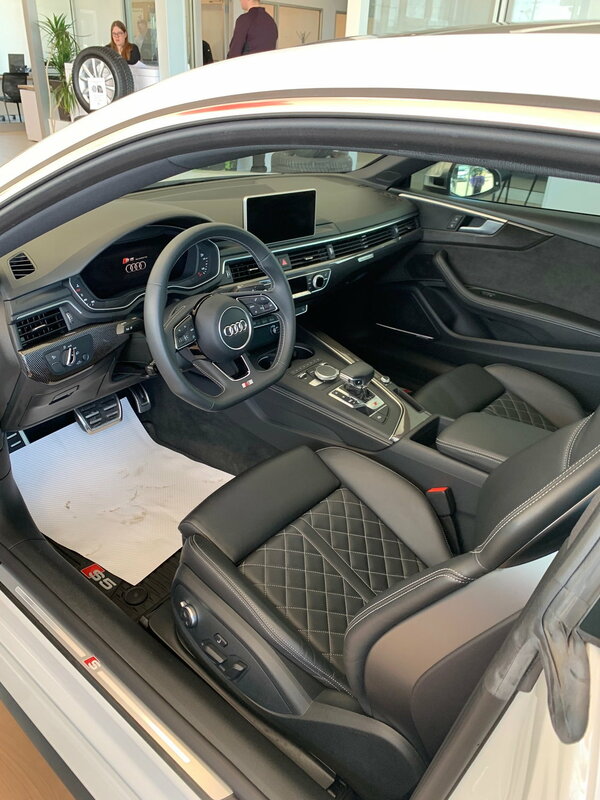 Found this absolutely pristine fully loaded 2018 S5 with only 14k miles on it. Couldn't pass it up once I saw and drove it. They gave me an insane deal on my Lexus that basically left me with no negative equity. Here are a few crappy pics the dealer took. Bad ***. Really in a different class of performance. It’s a super or turbo charged 6 cylinder right? Aftermarket support will be crazy. I’m in Ottawa, but have Fam in Toronto and an is350 AWD, do you have any cool random stuff for it you’d like to sell? Are you gonna return to stock to sell easier? Let me know if you are returning to stock before selling I’m trying to do a little to mine and would certainly like your exhaust and other stuff you have. I could pay $$$ if you kept ur stock stuff or trade stock + $$$ for stuff. Let me know. Let us know if you're going to mod that! Congrats! I am a big fan of the S5 - considering finding a low-mileage one for next go-around as well. Hope to hear about how it's treating you! Thanks guys! Nick I don't have much done to the car other than the exhaust, and I'll most likely be swapping back to my oem exhaust when in the next week or so. I'll be putting it up for sale on here fairly cheap even though it's virtually brand new. Wow super sudden! Lol sorry to see you’re selling it ): haha. Congrats though! I've been eyeing different cars for a while but didn't think I'd pull the trigger on one! I almost had a deal done on an Audi S3 and more recently a '19 RC350 F Sport. 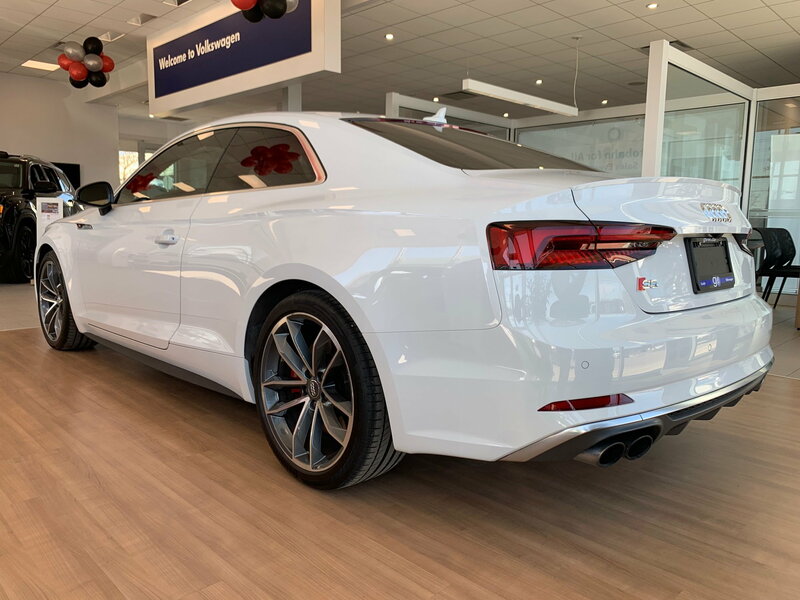 But the S5 was something I had reallllly been looking for but could never find one that was barely used (I like brand new cars so it really had to be perfect), and in the color I wanted...although I did want the red leather, but this will definitely do! I've also always been a coupe fan (despite having three kids under 10). My wife has a three row crossover for those duties. Congrats. can't blame you. Have fun! It's not a sad day if you are happy with it. Congrats!! I haven't picked it up yet (hopefully next Saturday). From my seat time, it's much more compliant and the quattro is far far better than the IS (keep in mind I have the 350 F Sport AWD). I don't want to talk ***** about the IS, but this honestly seems like a fairly big step ahead in almost every performance metric. Even how solid the chassis feels, and rigidity of the ride over rough roads is crazy good. Very little flex, and not crashy whatsoever. Firm much like the F Sport, but more stable firm if that makes sense. I'm not too concerned. My track record for length of ownership with vehicles will mean that it's under full warranty the entire time.